Come see this awesome new home sitting on 1 3/4 acres... You'll love the great floorplan with modern style throughout. 4 bedrooms, 2 baths, 2 car garage loaded with top of the line amenities which include Granite counters, 12x24 tile throughout main area, beautiful tiled master shower, custom cabinetry, upgraded hardware and lighting, jetted tub, covered patio, concrete driveway, stained concrete on porch and patio, blinds throughout, garage door opener, sprinkler system, landscaping and more. 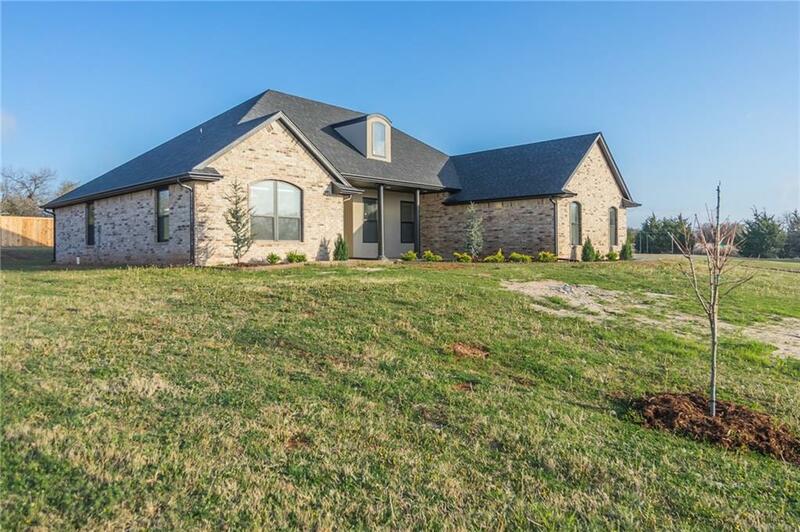 Country setting yet only a few minutes from Blanchard and easy access to Norman. Full 1 year builder warranty. Come see this home today!! !